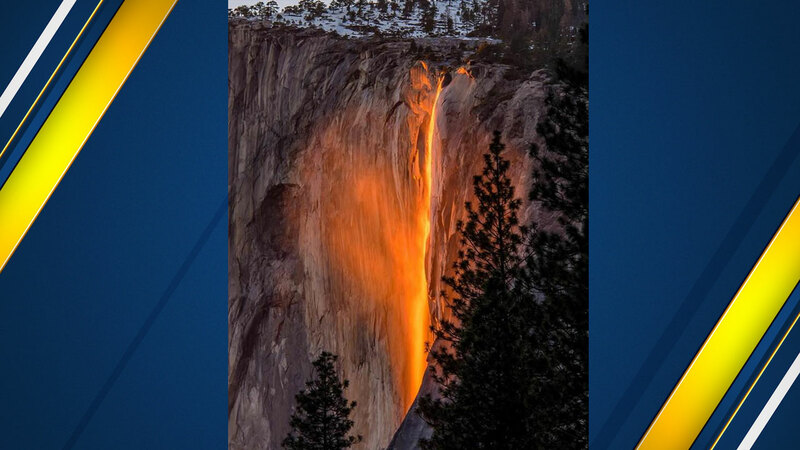 FRESNO, Calif. (KFSN) -- For two weeks every year in February, thousands of amateur and professional photographers line up to take pictures of the Horsetail Fall phenomenon. Now Yosemite officials will require a permit to park at the best viewing spot. Officials say over the past few years, the number of people looking for that perfect picture has grown so much that it is causing traffic jams and pedestrian safety problems. Because of this, they are now working with The Ansel Adams Gallery, Yosemite Conservancy, and Yosemite Hospitality to ensure public access and manage vehicles in the viewing area. Starting Saturday, February 3rd at 9 a.m., park visitors will be able to make a free parking reservation online. 250 parking reservations will be available each day online and 50 first served permits will be available each day from 9:00 am to 3:00 pm at The Ansel Adams Gallery in Yosemite Village. The Horsetail Fall event goes from February 12th to 26th. To make your reservation, visit 2018horsetailfall.eventbrite.com after 9 a.m. on Saturday.